In order to start a car engine, a spark needs to be created so that the fuel in the combustion chamber can be ignited. Spark plugs are the car components which make this possible. If you don’t have good spark plugs then you’ll first notice your gas mileage start to diminish. You probably already know how many miles you’re supposed to get per gallon with your car. If you notice that you’re getting fewer miles per gallon then this may be due to failing spark plugs. However, you’re not going to know for sure until some more serious symptoms occur. Then you’ll have no choice but to get the problem diagnosed by a professional. Slow acceleration will quickly follow poor fuel efficiency. If you step on the gas pedal and your car has trouble increasing its acceleration then this is another sign of a possible spark plug problem. Newer cars have multiple sensors in them which are connected to their central computer. If there’s an acceleration problem then these sensors may tell the driver about a problem with the ignition system. After all, the ignition system is responsible for lighting up the spark plug. So the sensors will get confused when the spark plug doesn’t catch fire and just blame it on the ignition system. But usually, it is just due to a worn out spark plug. Therefore, don’t always trust what your car’s computer tells you. Slow acceleration may seem serious, but most of the time it can be remedied by replacing your spark plugs. As the symptoms of bad spark plugs get more serious, the car’s engine will start to misfire. Engine misfires will create stuttering sounds and emit more exhaust fumes than normal. Finally, the last straw will be when you have trouble starting the car altogether. Of course, there could always be a problem with the ignition system but this is only seen in older cars that have been driven for awhile. Most people who experience these symptoms simply have bad spark plugs. Either way, you should take your vehicle to a mechanic and have them diagnose what the problem is. Spark plug replacement will be a lot cheaper than getting your ignition system repaired. But remember to always get your spark plugs checked out on a regular basis. If you do that then you shouldn’t have any problems. 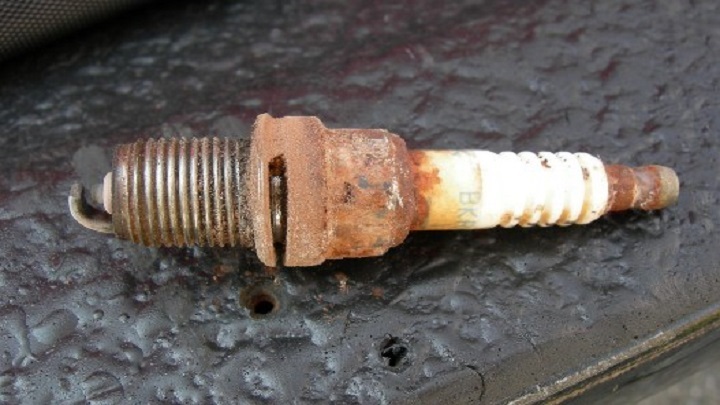 The average spark plug wears out after driving a car 40,000 miles. Keep that in mind if you notice these symptoms in your vehicle. If your engine car using V6 or V8 model, the labour cost will be more expensive due to difficulty and proccesing time of work. Always change the spark plug using original parts (OEM) that came with your car model. Non genuine spark plug or fixing another model car spark plug may cause the ignition coil and regulator alternator damage. Every spark plug have different current consumption. So make sure you fix an original and suitable spark plug for your car.